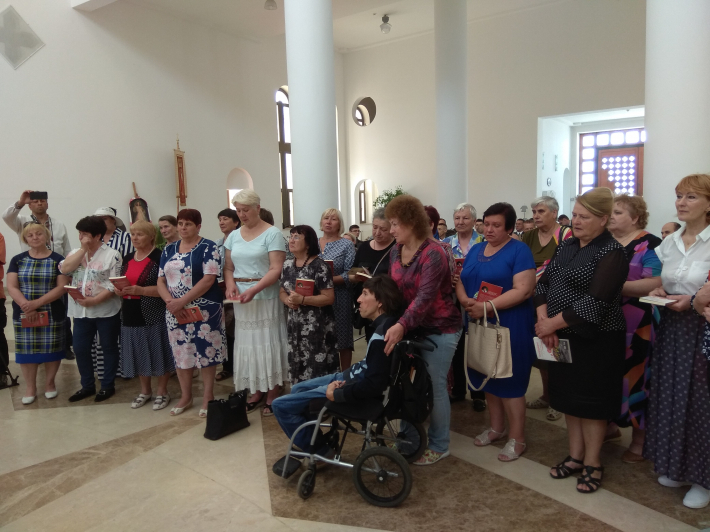 On Thursday, May 10, in Kyiv, at the Patriarchal Cathedral of the Resurrection, on the occasion of the Mother's Day, a meeting was held with the mothers of the soldiers who perished in the ATO zone in the East. 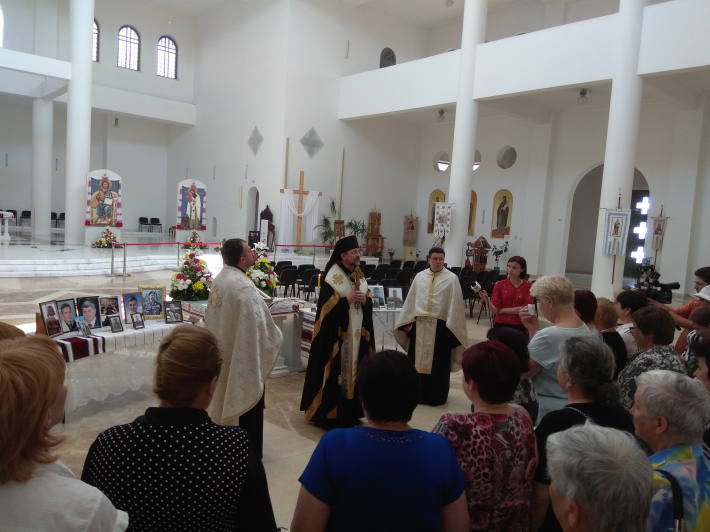 The spiritual program was headed by Bishop Bohdan (Dziurakh), Secretary of the Synod of Bishops of the UGCC, and initiated by the Department of the Patriarchal Curia of the UGCC in the affairs of patriotism of the Ukrainian armed forces. "Today we bring our prayers to the Almighty asking for the souls of those who are closest to us, the most dearest and most valuable, - and we all know that for every mother it is her own child. Apparently, there is no stronger weapon in the world, as the prayer of mother, because it reaches the heaven. Today we are joining with them (with your sons - Ed.) in our prayers and asking the Lord to receive their souls into His eternal and blissful embrace, for your sons are worthy of it. They defended us against the mortal danger that the enemy brought to our native land, sowing around the ruin, death and irrepressible pain. Apparently, you feel the most pain of all of us, "said the Bishop Bohdan to the mothers. According to him, it is extremely difficult for us to be deal with this irrepressible pain, so we carry our tears and pain to the One who overcame death - to Jesus Christ. He gives us life earthly and eternal. For it is He Who is with God and in God, Who is no longer afraid of death, for death no longer possesses Him. 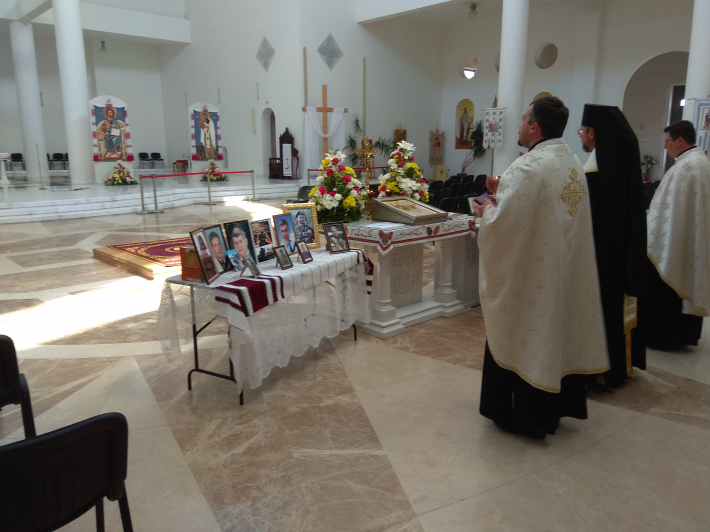 "Today we feel the presence of your sons between us, because they were united with the Most High by their faith, by their love ... Let them rest from their labors, for their works follow them. They made their sacrifice united with the innocent sacrifice of the Son of God, "said Bishop Bohdan. In his view, the Blessed Virgin Mary, like no other woman in the world, feels and understands maternal pain, because She also brought her Son into this world. "She was supposed to accept the choice that Jesus made preparing for the mission that Heavenly Father entrusted Him - to sacrifice His Life for the salvation of others and lay down His life because of love. Maria made this choice. She did not let it go. She walked with Him as you walked to the end with your sons: in thoughts, prayers, with a word of joy and consolation, which you texted to the front, or through short but so precious and important conversations ... Therefore, Our Lady understands and knows your pain," - explained the preacher. He emphasized that when we all contemplate today the features of the soldiers' faces, we can recognize in them the presence of Christ Himself. For He gave His life because of love, sacrificed Himself for the salvation of others, that is, for our salvation. They were united with Christ in love, therefore, He transferred them from this life to eternal life. Their bodies were wounded by the enemy, but their enemies did not have access to their souls, for their souls have long been in the hands of Jesus. Now they are in the Lord, in eternal bliss. We should remember this. "It is good that you came here today to the Patriarchal Cathedral of the Resurrection of Christ in Kyiv, so that not only we could share sorrow, pain and mourning, but also our faith and hope in the Resurrection. We believe in Christ's Resurrection, because it is the source of faith in our own resurrection... Your sons want you, their mothers, to be comforted by the Holy Spirit and the presence of the Risen Christ among us. Therefore, hear in your heart not only the quiet word of Christ the Savior, but the word of your sons as well! "- Bishop Bohdan said at the end. 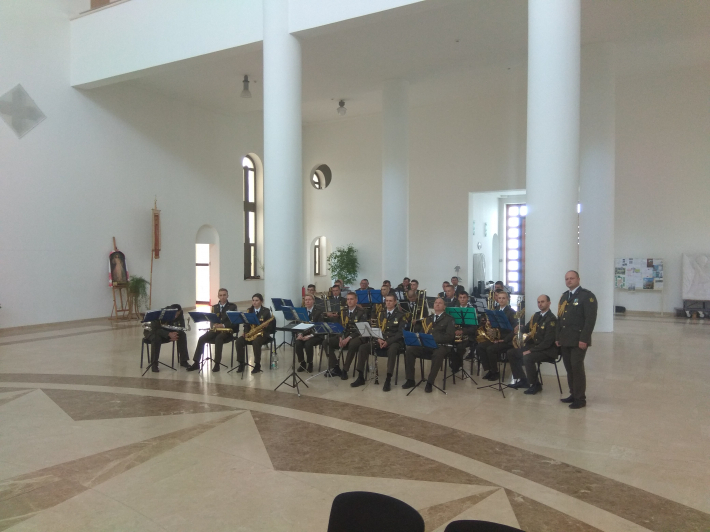 We would like to add that after the meeting, the mothers of the deceased soldiers received gifts for the Mother's Day, and also enjoyed the performance of children (students of one of the local schools) and the brass band of the I. Bohun Kyiv Military Lyceum.